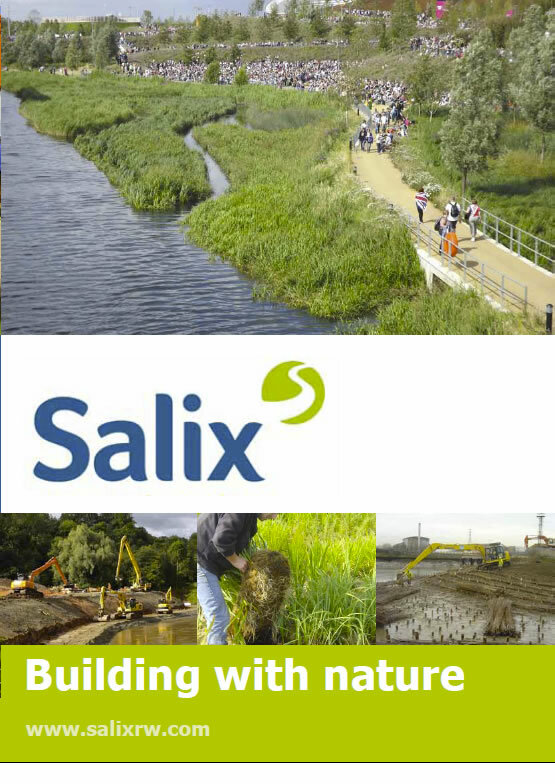 Salix produce a range of brushwood faggots (fascines) for use in rivers, canals and lakes. We use brushwood from sustainable sources and can supply various timber types including Ash, Hazel and Willow. Faggots and mattresses can be constructed from living or dead material. Hazel faggots use dead wood, whereas willow, can be living or dead material. We incorporate brushwood materials into many of our bioengineering projects in both freshwater and brackish intertidal applications. Brushwood mattresses are comprised of layers of faggots held by a grid of fixing posts and are very effective at trapping fine sediment. As such, brushwood mattresses are often used in inter-tidal or estuarine rivers. Dead brushwood faggots are often used in conjunction with Coir Rolls to provide a toe support in deeper water. Living faggots or mattresses are used as revetments in their own right, sometimes with a Rock Roll toe.